Face To Face with John Lennon tells the true story of Beatlemania in Anchorage and how one lucky girl named Mary came face to face with her favorite Beatle. A fun read. "An amazing, fun experience that I will never forget" Mary Jane Dougherty, author. Remember when the Beatles came to Anchorage? In the summer of 1966 the Anchorage Westward hotel became the scene of something you'd only seen before on the news, or in one of the Beatles movies. An excited crowd of Anchorage teens, hoping to catch a glimpse of the Beatles, gathered around the downtown hotel after word got out that the Fab Four had landed at Anchorage International Airport and were staying at the Westward Hotel on their way to Japan. And one lucky, fast thinking Anchorage teenager named Mary was about to have a once-in-a-lifetime experience that she would never forget. What? The Beatles were in Anchorage? If you were living in and around Anchorage in the summer of 1966, you were probably very surprised when you heard that the Beatles were in Anchorage, staying at the Anchorage Westward Hotel. Your first reaction was probably, "no way, you're kidding me right?" Well, one teenage girl in Anchorage had that same response when her sister woke her up with the news. Mary, one of the creators of this website Anchorage Memories, didn't believe her sister when she first told her about the Beatles being in Anchorage. 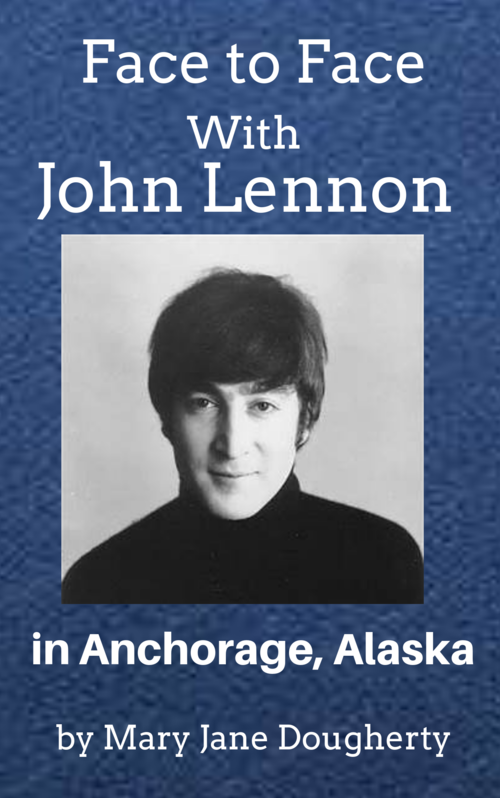 But later that night, Mary would have a once-in-a-lifetime experience she would never forget when she came Face to Face with John Lennon in downtown Anchorage. Through Mary's fun book, you'll experience all the excitement as Mary and a crowd of Anchorage teens gather around the Anchorage Westward Hotel just hoping to get a short glimpse of the Beatles - even if they weren't very close to them. As the afternoon turned into evening, Anchorage teens continued to hang out around the hotel. And each and everyone of them just wanted one thing - to see the Beatles, or even one Beatle while they were in Anchorage. But at the very last minute, just before the Beatles left the Anchorage Westward Hotel, Mary had an idea - and idea that would bring her Face to Face with her favorite Beatle. You'll discover how Mary came Face to Face when you download her fun book that lets you relive Beatlemania in Anchorage, Alaska. A true account of the legendary band and how, a 14 year old Anchorage girl named Mary, had "An amazing, fun experience that I will never forget" Mary Jane Dougherty, author.